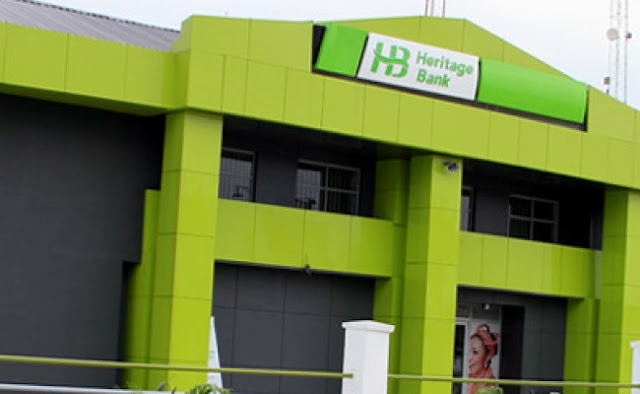 Heritage Bank Plc is currently stuck in a debilitating liquidity situation; SaharaReporters had reported sometime in November and panic attack gripped customers of the bank and the so much fuss about the bank began. Mr. Ifie Sekibo the Managing Director/Chief Executive Officer of Heritage Bank Plc, in an interview with Joseph Ushiaghale, Chika Amanze-Nwachuku and Obinna Chima of thisdaylive reassured their customers that the commercial bank was safe, sound and liquid, assuring all customers of the bank the safety of their funds, promising that the young financial institution would not compromise on its quality services at all time. If you bank with Heritage like me, I am very sure you must have thought and probably acted like a typical Nigerian by hastily going to withdraw most of your money, if not all. I am not saying it's an unwise move because I had planned to do so myself. While many thoughts were flooding my mind on the next step to take since hearing the news of possible shutdown of the bank, I began to ask myself the following questions - "Are you certain that what is making the news about the bank true and as a blogger, is it not in your position to confirm these news? ", "What investigative measures do I take before opening account with any Nigerian banking institution such as heritage bank? ", "Have I ever done a background check to find out how banks in Nigeria came into existence which is a strong determinant to know if they will stand the test of time?". I decided to make enquiries about my bank, Heritage while doing some research. “Yes, from the very first day we opened Heritage Bank and the press wanted clarity of this, I took out time to explain our relationship. A group of us, young men and investors, put money together and approached the owners of Societe Generale Bank (SGBN). We held a meeting between SGBN, the new investors and the CBN. And a decision was made to say we the new investors should buy 80 per cent of the bank. Eleven per cent of the bank was given to depositors who had indicated their interest to convert their deposits to shares and the former holders which included Saraki; but it is important to note that Saraki was not the only owner of that bank. They were 19 other shareholders. Those old shareholders (Saraki inclusive) were given 9 per cent of the bank. 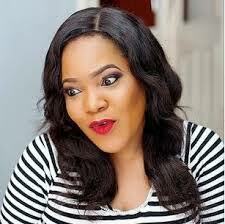 My group that came in as new investors, bought 80 per cent with N10.2 billion cash, not N11 billion or N12 billion. That is why when they say I laundered N12 billion, I was just laughing at them. We paid N10.2 billion for a regional bank. The depositors who had their monies in the former SGBN wrote to the CBN that they want to convert their monies to shares and were allotted 11 per cent of the bank. The 9 per cent was allotted to the former shareholders. Thereafter, we raised new capital through a private placement that was publicly subscribed to, in which case we had about 56 new shareholders and the Saraki group did not subscribe to even one new share. So, they got diluted down to about 4 per cent. When we now got into Enterprise Bank, in order to acquire the bank, we went to the capital market again and raised N11 billion from the market. That N11 billion was over 100 shareholders. Again, I repeat, the Saraki group did not subscribe to any new shares. They got diluted to less than 1 per cent of the bank. And we bought Enterprise Bank. If you look at the shareholding structure of Heritage bank as at today, because they did not subscribe to new shares in the two rounds of capital raising, they now have less than one per cent of the bank. But whenever people go out there, they would say it is Saraki’s bank. I have said anybody can go to the Corporate Affairs Commission (CAC), you can come to our office to ask for the register of shareholders. We have an annual general meeting in which the register was made public. See, whether there is a pseudo or anything whatsoever, you can trace. You can take each of the shareholders and trace them. Saraki is also alive, you can ask him if he has at any point in time added to his shares at Heritage Bank. But would I deny that they were the owners of the bank before we bought it? It is true! I was a secondary school boy if not less, when SGBN was running. I wasn’t part of it, I am just an investor. Many investors had tried to buy SGBN over the years, but we succeeded. If anything, I think we deserve commendation. Rather than crucify us, we should be given national awards for bringing a dead bank back to life. Clarifying his investigation by EFCC, Mr Sekibo explained that he was not being investigated by the Economic and Financial Crimes Commission (EFCC) for any crime, explaining that the anti-graft agency only called him to clarify a transaction by Enterprise Bank, which Heritage Bank acquired in 2014. “Naturally, you gauge your inflows and outflows and know how to manage them. And if anybody would look at it, we have over this period because of the negative press, not that the negative press are true, raising people’s anxiety, some took their money away from the bank, and when they found out that nothing happened to the bank, they brought back their monies,” he said. I do not share same view with the bad press or rumor mongers who claim that Heritage Bank is liquidating and you shouldn't too.